Please help us protect Terwilliger Parkway by completing this second survey. A Metro steering committee has decided that a new Southwest Portland light rail line will travel out Barbur Blvd. from downtown Portland to Tigard and Tualatin. A planned station at SW Gibbs St. (below the tram) is intended to serve OHSU and other Marquam Hill institutions that are located several hundred feet up a steep hillside with Terwilliger Parkway lying in between. 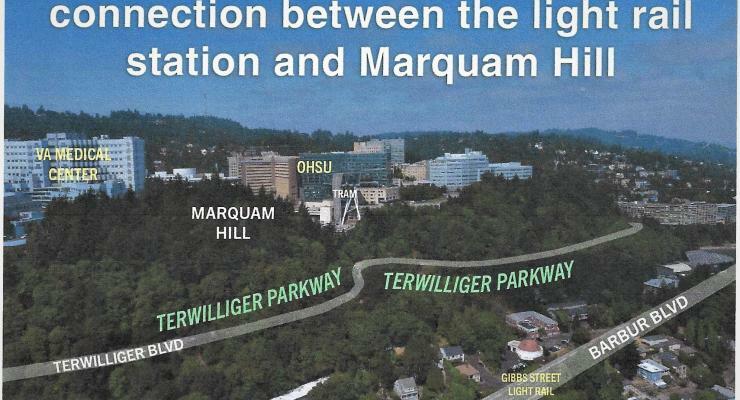 TriMet and Metro have proposed a “Marquam Hill Connection” to get people up the hillside from the SW Barbur MAX station to OHSU. 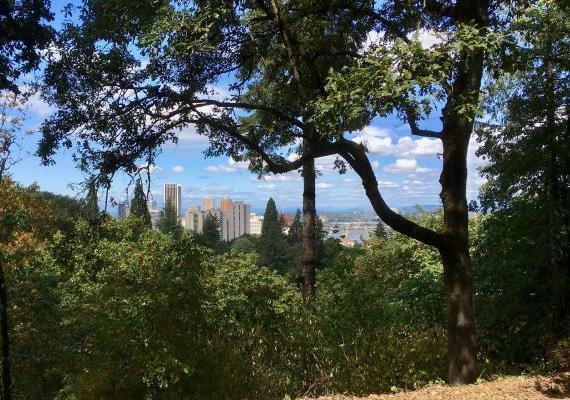 Three of the proposals involve a combination of above-ground elevator towers and bridges and ramps, most of which would be located in Terwilliger Parkway and will necessitate the removal of many trees and significant alterations to the park. A fourth proposal is to build a pedestrian tunnel under the hillside with an underground elevator to bring people up to OHSU. Donate to support our work or lend a hand.